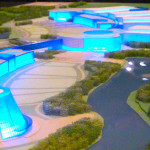 In case you missed it, last week was a major cause for celebration for SUNY. Dr. Kristina Johnson was officially inaugurated as SUNY’s 13th Chancellor last week at the Morris W. & Fannie B. Haft Theater at the Fashion Institute of Technology. The inauguration was the first we’ve hosted in quite some time, and there were many great announcements and proceedings that took place! 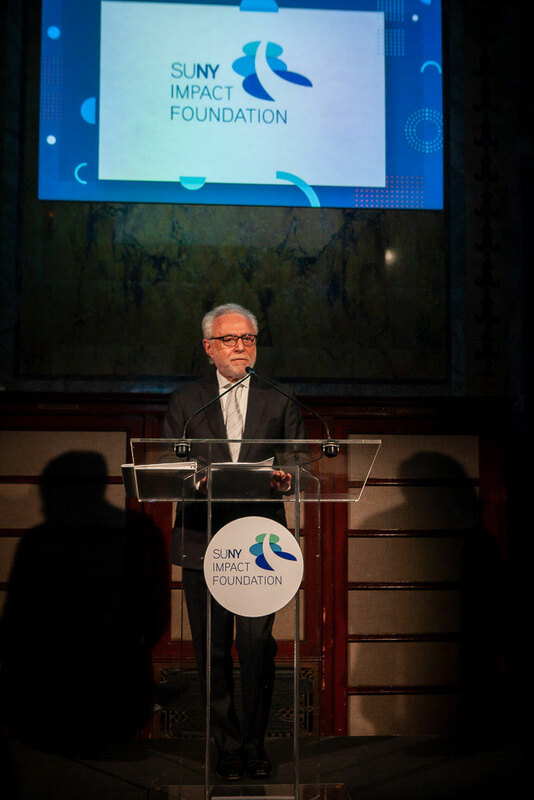 Wolf Blitzer, a University at Buffalo alum, speaks at the SUNY Impact Foundation inauguration gala in New York City. On Thursday, September 13th, the SUNY Impact Foundation hosted an inauguration celebration dinner in honor of Chancellor Johnson at The New York Public Library in Manhattan. Master of Ceremonies and University of Buffalo alumnus, Wolf Blitzer, and SUNY student performers from all over the SUNY system, graciously entertained 400 guests in attendance. Attendees included government officials, presidents of leading academic institutions, SUNY faculty, staff, system administration, the New York State business and philanthropic communities, and SUNY friends from around the world. The dinner raised over $1 million for the SUNY Impact Foundation, will be used to fund two initiatives: a Chancellor’s Fellowship Fund for doctoral students doing research and a Near Degree Completion Grant Fund that will help low-income students finish their degrees. 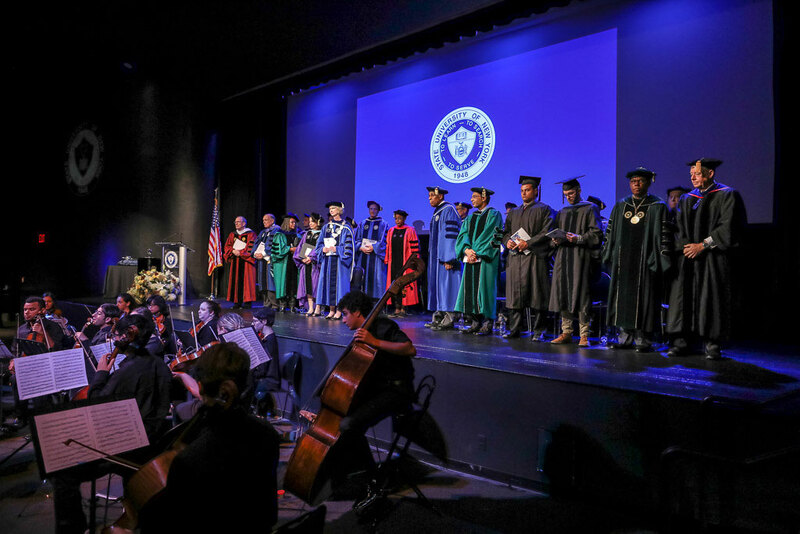 The next day was the main event, the inauguration ceremony, with a processional led by the SUNY Board of Trustees, presidents, and delegates from our 64 campuses. 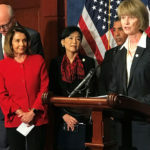 Roughly 600 people were in attendance, including students, campus leaders, and representatives from 116 U.S. and international higher education institutions. The audience also included people from the government, business, and community sectors, as well as friends and family of Chancellor Johnson. 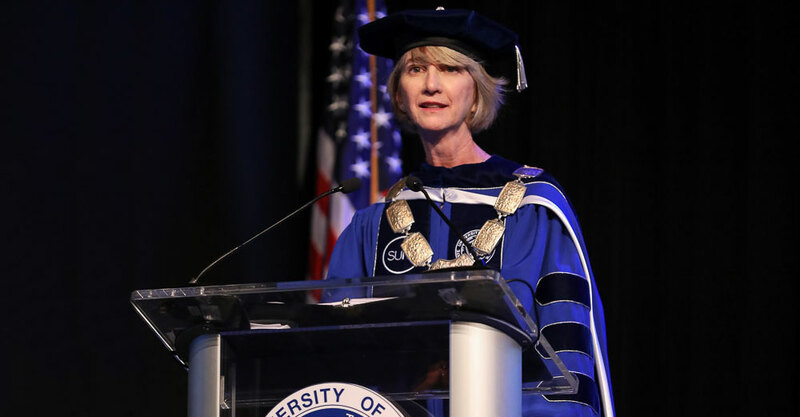 In her inauguration address, Chancellor Johnson pledged “to do all I can to make SUNY more than the sum of its many remarkable parts, and the individual campuses better for being a part of the whole.” Chancellor Johnson reiterated her commitment to advancing sustainability, partnerships, innovation and entrepreneurship, and individualized learning – themes she outlined in her State of the University System speech last January. For instance, Chancellor Johnson reflected on SUNY’s recent partnership with the University of California System to form the University Climate Change Coalition, or UC3, to accelerate climate action by lending SUNY’s expertise to local businesses and governments. Following the inauguration, the Washington Post featured an article penned by Chancellor Johnson and President Janet Napolitano regarding how universities should lead efforts to slow climate change if the federal government won’t. In addition, Chancellor Johnson noted how 700 SUNY volunteers were in Puerto Rico this past summer to ease the devastation of Hurricanes Irma and Maria by way of reconstructing homes. This opportunity for SUNY was made possible through partnerships with Governor Andrew M. Cuomo, UNICEF, and a number of not-for-profit organizations. Chancellor Johnson also announced a new program called PRODI-G – Promoting Retention, and Opportunity for Diversity, Inclusion, and Growth – to assist campuses in hiring outstanding faculty from diverse backgrounds. The program will be a partnership between the SUNY System, individual campuses, and donors, with the goal of hiring 1,000 PRODI-G faculty within the next decade. To that end, Chancellor Johnson said she plans to double research and innovation on our campuses, which will “increase the number of products, processes, and companies spun out of SUNY. As she stated, “… one of the best ways for SUNY to serve the state and the world is by encouraging entrepreneurship. SUNY will do that by giving our entrepreneurs the tools, connections, and knowledge they need to succeed.” That work is already taking place. To kick off the ceremony, President Calvin O. Butts III of SUNY Old Westbury delivered the invocation, SUNY Board of Trustees Chairman H. Carl McCall provided the welcome address, and President Joseph M. McShane of Fordham University gave the benediction. If you missed the the day’s events live, don’t worry. We have an archive of the event and Chancellor Johnson’s speech available on our website. And a full gallery of both the SUNY Impact Foundation dinner and the inauguration ceremony is available below.